JHP has developed Tie Rack's new store concept as a ‘Gift Box’, a carefully ordered and displayed boutique collection of products, steeped in style, colour and pattern. 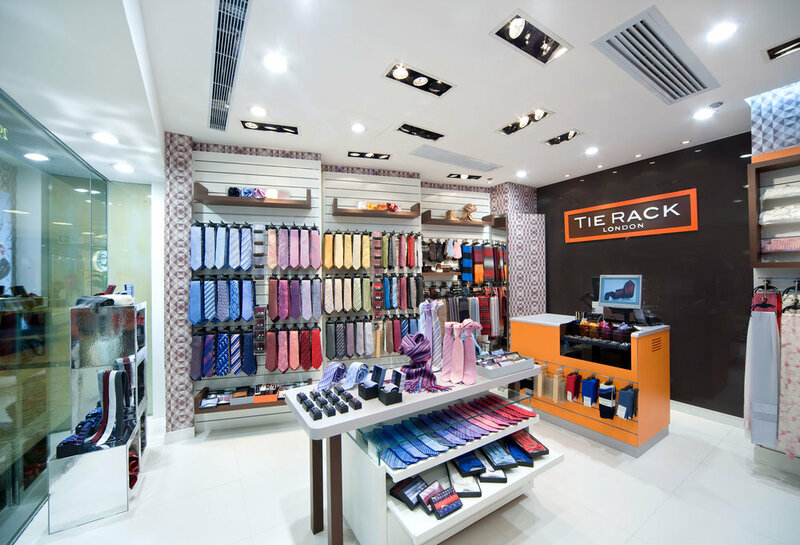 The new proposition ensures Tie Rack’s new range extension sits seamlessly with existing product. Breakout displays are used to ‘hero’ key lines. A key feature of the scheme is the design of the walls - one being a stepped ‘ziggurat’ wall, the other being a linear slot wall. All surfaces are covered in a bespoke brand pattern.